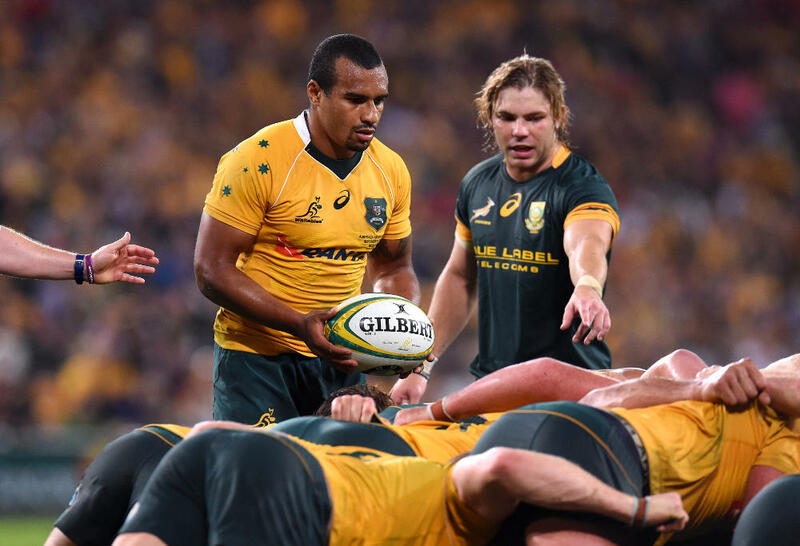 The Springboks play the Wallabies in the fifth week of the Rugby Championship at Bloemfontein on Sunday 1 October at 1:05am AEST. Let’s super definitively reiterate that, because most of Australia is moving to daylight savings time just a little bit later in the day. The official changeover to daylight savings is at 2am on Sunday morning, so it will still be AEST when the match begins at 1:05am, but if you’re living in a daylight savings state then your clock will go forward during the match and it’ll technically finish around 4am AEDT. 1. Scott Sio 2. Tatafu Polota-Nau 3. Sekope Kepu 4. Izack Rodda 5. Adam Coleman 6. Jack Dempsey 7. Michael Hooper (c) 8. Sean McMahon 9. Will Genia 10. Bernard Foley 11. Reece Hodge 12. Kurtley Beale 13. Tevita Kuridrani 14. Marika Koroibete 15. Israel Folau. Subs: Stephen Moore, Tom Robertson, Allan Alaalatoa, Rob Simmons, Lukhan Tui, Ned Hanigan, Nick Phipps, Samu Kerevi, Henry Speight (one to be omitted). 1. Tendai Mtawarira 2. Malcolm Marx 3. Ruan Dreyer 4. Eben Etzebeth (c) 5. Franco Mostert 6. Siya Kolisi 7. Francois Louw 8. Uzair Cassiem 9. Ross Cronje 10. Elton Jantjies 11. Courtnall Skosan 12. Jan Serfontein 13. Jesse Kriel 14. Dillyn Leyds 15. Andries Coetzee. Subs: Chiliboy Ralepelle‚ Steven Kitshoff‚ Trevor Nyakane‚ Pieter-Steph du Toit‚ Jean-Luc du Preez‚ Rudy Paige‚ Handre Pollard‚ Damian de Allende. 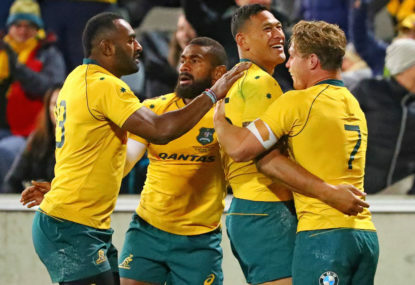 The Wallabies will be hoping to get back-to-back victories on the board and get their second win of the Rugby Championship, but they have quite a task ahead of them travelling to Bloemfontein. The Springboks were slaughtered by New Zealand in their last outing and will be hoping to bounce back for reasons of self respect if nothing else.